A tiny personal computer that is worn on the ear and can be controlled with the blink of an eye or the click of a tongue is being tested in Japan. 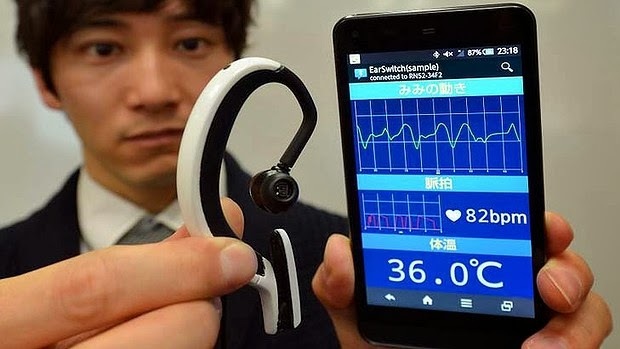 The device, known at the moment as the "Earclip-type Wearable PC" has a microchip and data storage, enabling users to load software, said engineer Kazuhiro Taniguchi of Hiroshima City University. Its designs are based on traditional "ikebana" flower arrangements. 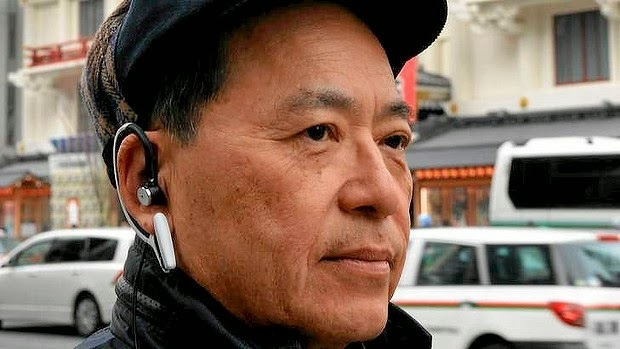 "We have made this with the basic idea that people will wear it in the same way they wear earrings," Taniguchi told AFP in a recent interview as he showcased a black prototype. Because the user does not have to move either hand, its developers say it can serve as "a third hand" for everyone from caregivers to rock-climbers, motorbike riders to astronauts, as well as people with disabilities. "Supposing I climb a mountain, look at the sky at night and see a bright star up there, it could tell me what it is," Taniguchi said. "As it knows what altitude I'm at, which direction I'm looking and at what angle, it could tell me, 'The bright star you are seeing now is Sirius'." "This could connect you with a person who is looking at the same star at a remote place at the same time," enabling the people to swap impressions, Taniguchi said. The earpiece, which could also function as a hearing aid, could monitor the wearer's health, including their pulse and body temperature, while logging how often they eat and sneeze, offering early warning of the onset of illness. Tests are being carried out in Hiroshima, with the aim of commercialising the device from April 2016. An honour of esteem to technology monitoring capabilities of NDTV and Hats-Off to Japanese Researchers for their all-time innovative invention’s. Tiny Ear Computer would be a forthcoming unimaginable technology that will in fact import a revolutionary cyclone in gadget market. I would consider to call it as Nano Ear Computer because prior to a single micro-chip there is no such small device in market which integrates the perfect flow of GPS, Compass, Gyro-Sensors, Accelerometer, Speaker, Battery, Microphone and Mic together. I wonder what breakthrough battery performance would bring. A long lasting battery would station these Ear Computers in hearts of people. I mean this is just beyond human imagination technology.